The kitchen mixer faucet is the hardest working piece of equipment in the home. From filling the kettle to rinsing vegetables, it is used throughout the day, every day. Therefore it is essential to invest in a faucet that not only looks good, but is also built to last. 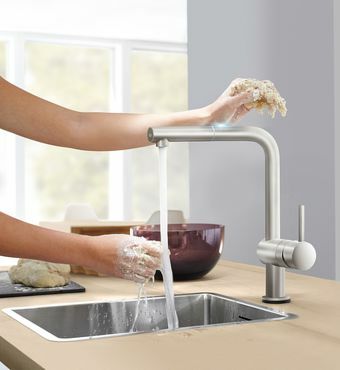 The classic styling of a two-handle faucets allows them to adapt to any kitchen environment. Mounted in a single hole in the sink or the worktop, they feature individual levers or handles to control the hot and cold water supplies. 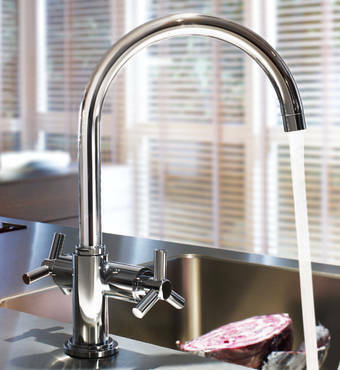 Before purchase, check that your water pressure is compatible with your choice of faucet. For optimal performance, many faucets require a minimum flow pressure of 1.0bar.